Check out current sales here! the Coletterie, Handmade Jane, luvinthemommyhood, and more! The original, available in two sizes! 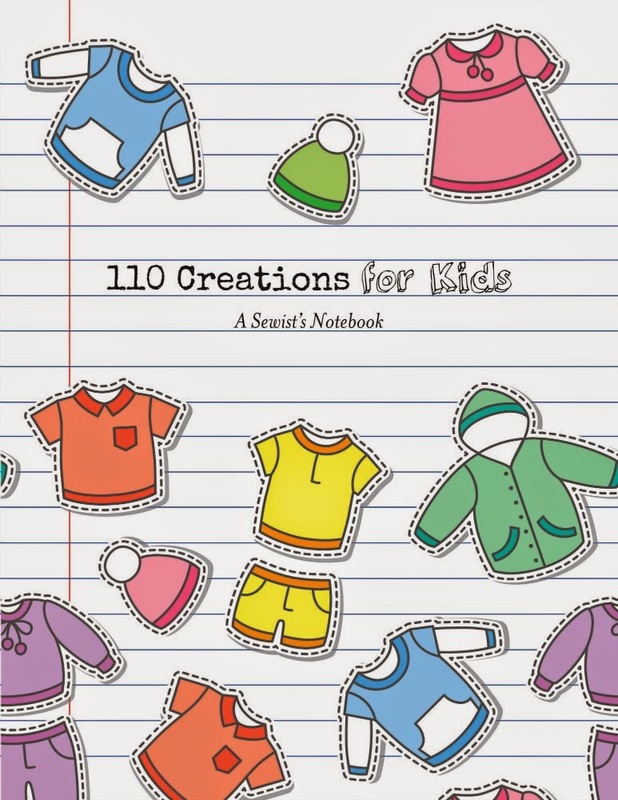 Now available, 110 Creations for Kids! Ever since I started sewing, I've been trying to find a good project planning system that worked for me. I use Pinterest to track inspiration, my Fashionary sketchbook for drawings, the Evernote app to catalogue fabrics and patterns, and a blank notebook to take notes while I'm sewing. Ugh! While I love each of those methods individually, it's a pain having everything spread out in so many places. If you've been reading long, then you may know that I worked in book publishing before becoming a stay-at-home mom. I decided to take the skills I learned in publishing and use them to solve my organizational problems with sewing. 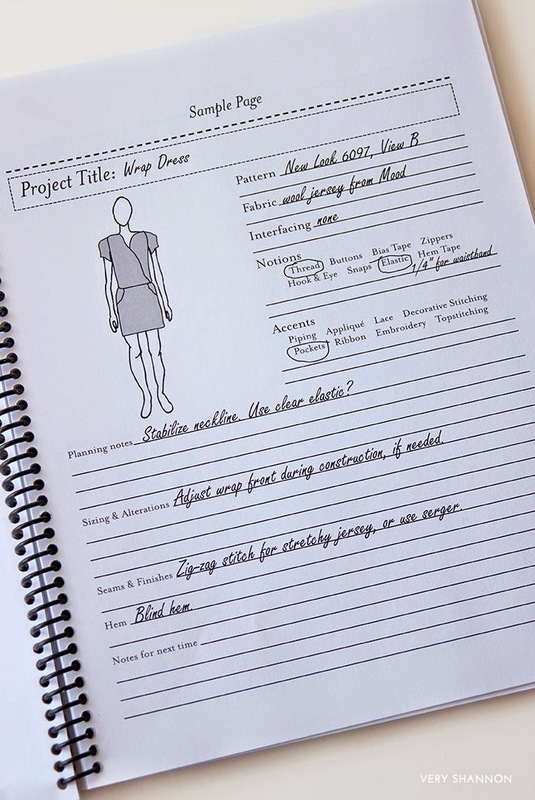 I created The Sewist's Notebook as the perfect companion to any garment sewer. Now I can put everything in one place! There are 110 numbered pages for projects. Most include a figure drawing for making sketches whenever inspiration strikes (there are 20 pages without a model so you can sketch handbags or children's clothing). There are blank lines to note the pattern I intend to use, and the fabric and interfacing needed. Notions and accents are pre-printed so I can quickly circle what I need. There are blank lines to fill in the sizing notes, hems and finishes, and what to do next time I make the pattern. In the back of the book, I've included large tables to make a catalogue of patterns. There is a page for a wish list, and even a chart to track when I last changed the needle on my sewing machine. 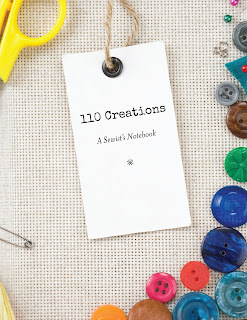 I've been using my own copy of 110 Creations: A Sewist's Notebook on a daily basis. It's eliminated my frustrations and I can concentrate on sewing instead of on my disorganization! Best of all, when I finish one project, it's easy to find the next just by flipping through the notebook. If you'd like to have your own copy, they are available here. It was important to me that the book be functional, and to that end it's setup with spiral binding (yay!). The book comes in two sizes. A spacious 8.5 inches x 11 inches, perfect for lots of note-taking, and a smaller 6 inch x 9 inch, great for on-the-go inspiration. It would make a great gift for a sewing buddy, or yourself! 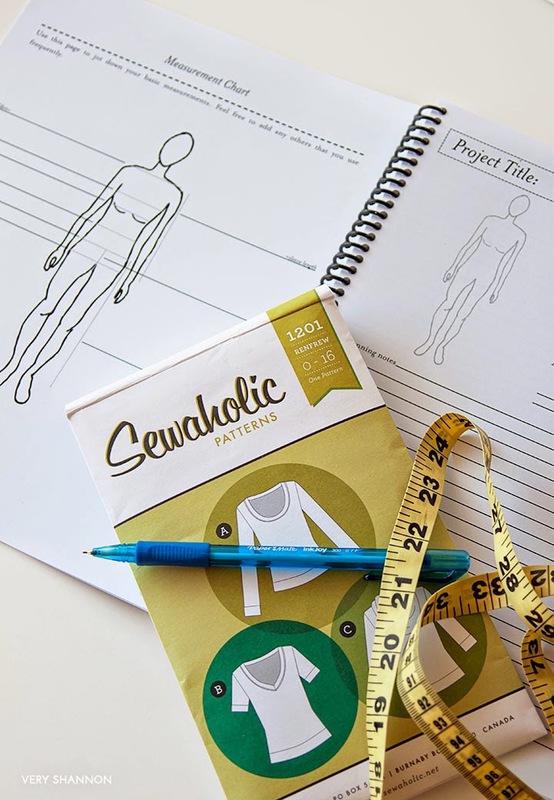 Interested in a one-of-a-kind Sewist's Notebook? Contact me at sew110creations (at) gmail (dot) com for more information on a customized figure drawing! Photos by Shannon Cook of Very Shannon. Enthusiastically used with permission. I think this is such a useful thing to have. What a brilliant idea! I have just ordered one (saw it on Lauren's blog). Thanks Alice! I hope you enjoy your copy! Me too! It looks great, just what I need. A little Christmas pressie to myself! Hi I saw the review of the Sewer's notebook on Lauren Taylor's blog. I understand that you also do customised figure drawings for the book. How much do you charge for this? Hi Gwen! Filling in the book is just so much fun :) Can't wait to see your review! This is such a genius idea!! I've just ordered my copy! 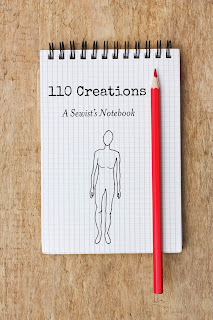 I just started sewing clothing last year, and have completed 34 things, each of which is logged into my 100 Creations Notebook. I find it not only helpful to look back on previous projects, but also fun. In the course of using this very handy tool, I have come up with a few small suggestions that might make future versions even better. (1) I like to glue a small swatch of the fabrics I use next to the drawing. If you could move the figure over to the right just a little, the swatches would fit better. Also, 2 or 3 boxes could be drawn there to accommodate them in a tidy manner. (2) I like to record the dates on which I work on each project. This could be squeezed in on top with the title. (3) I give each item I make a star rating. You might add a line for that. (4) I would like to have lines drawn in on the Project List pages, 2 per project, if possible. (5) I never use two lines for the Hem, but could use an extra line under Notes for Next Time. That is where I write the most. (6) I would gladly give up one page of Needle Record to have additional space for my Fabric and Pattern Wishlists. It appears from your website that you have lightened the print on the figure so it is easier to draw on, and added a page for measurements. These are not included in my book, but are welcome additions for Volume 2, when I am ready. Thank you for your wonderful product, which sits on my studio desk at all times. Wow, great job! 34 items in six months is great! Thank you for your suggestions Ann, I really appreciate you taking the time to let me know how the notebook could work better for you. 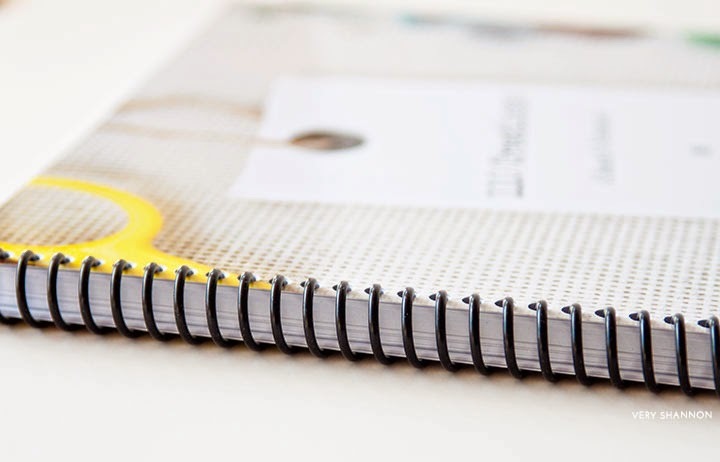 Once you've filled up your first notebook, please consider a custom version where we could incorporate your changes. Email me for more details! I just ordered mine. Thank you! My book came today and I am VERY happy with it. It's going to be a fun way to keep organized and focused on what I am sewing now, what I want to sew next and brainstorming ideas. You did a great job of designing the pages. 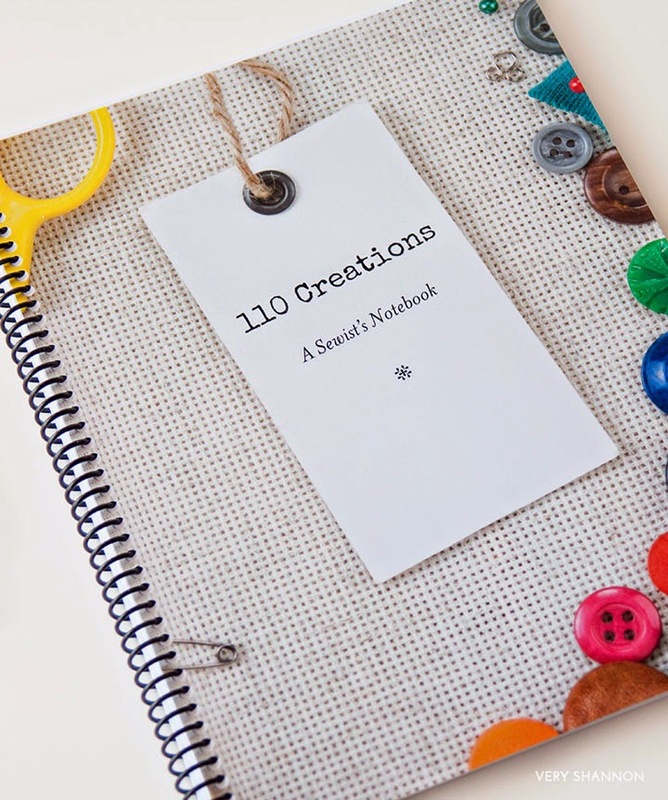 I think it's a perfect book for anyone who sews, regardless of age or sewing experience!!! Thank you so much Judi, this made my day! I'm glad you like the book! Hi Jessy! The book is available worldwide using the ordering link above. Enjoy! Hi Beth... I just bought a book for one of my friends and for myself... would you consider publishing an electronic version? I carry all my sewing items in my Ipad... I would love a PDF or other type of version so all my sewing notes will be with me when I am fabric shopping. Thanks for putting together such an awesome book. I really hope you can help me as I am getting nothing from Lulu after sending them two emails. I ordered the small size book which clearly states it's coil bound across the top but when it arrived it is glue bound up the side. I was particularly attracted to this because the book would lay flat in use. I have contacted Lulu twice since I received my book and am yet to receive a reply. I bought the book in plenty of time for my daughter's birthday which is tomorrow and was hoping to have the matter resolved. I would love one for other non clothes sewing.